Podiatrists form an integral part of the health care team for ageing Australians. Podiatrists play a key role in assisting ageing Australians with general foot care, which would otherwise be left unattended and could lead to more serious problems, including infection, hospitalisation and, in worst-case scenario, even amputation. Mobility in an ageing population is paramount to maintaining independence and quality of life. 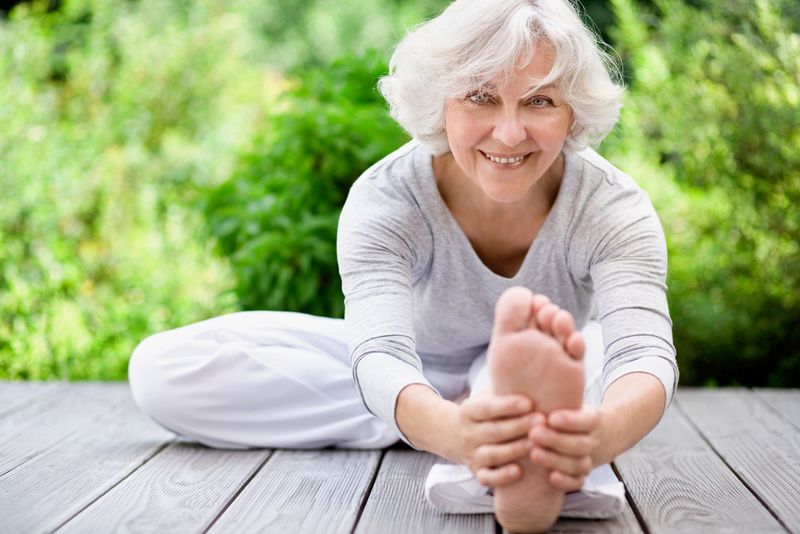 Podiatrists play a role in musculoskeletal assessment of the feet and legs of an ageing population and can assist in identifying and treating potential and active foot pathology that can reduce mobility. It has been predicated that Australia, like most developed counties, will continue to experience a general ageing of the population. The proportion of Australians aged over 65 years grew from 8% in 1970-1971 to 13% in 2001-2. This is expected to reach and stabilise at about 25% over the next 30 years (1). Skin changes: As the skin ages, it looses some of its former qualities of elasticity, moisture balance and fatty padding. The skin becomes vulnerable to tears and, therefore, ongoing slower wound healing and infection. The foot is an area particularly vulnerable to skin break-down complications; being at the most distal part of a limb it has susceptibility to peripheral neurological and circulatory loss. A podiatrist is often the first health professional to thoroughly examine the foot and can be the first to detect skin changes, such as skin cancers, which are more prevalent in the aged foot. Pressure areas: With the average person aiming for 10,000 steps per day, an 80-year-old foot could have tread over 290 million steps in a lifetime. It should therefore come as no surprise to learn that the fatty padding in the foot, either under the heel or the ball of the foot, can be considerably reduced in the ageing patient. The combination of pressure and reduced protection produces pressure-related problems unique to the foot; callouses and corns over boney prominences and metatarsal heads, heel pain from standing and walking, inter-digital neuromas and bursas or capsulitis. Nail changes: Difficulties with bending down, eyesight or focal length and hand grip strength often are the initiating factors for a person to directly contact a podiatrist for assistance with foot care. Podiatrists regularly treat nails in the aged population, and offer professional care of nail pathology such as ingrown nails, fungal nail infections, and wounds related to excessively long or thickened nails. Changing capability: As well as physical changes, there are often cognitive impairments related to chronic disease and complex medical presentations in the aged. Impairment in memory, loss of concentration, impairment in focus and judgment can affect personal care (2). These mental capacity deficits produce a higher risk profile for the aged foot, which often requires professional input of a podiatrist as a regular provider of foot care. Orthopaedic changes: The foot shape and appearance can change with ageing due to changes in boney structure and weakness or loss of elasticity in the connective tissues, such as ligaments and tendons. Muscle strains and tendon pathology are common consequences of an active older person who is demanding a lot from an ageing body. Podiatrists are trained to assess and diagnose boney and soft tissue pathology of the foot. At times, orthoses can be prescribed to help support the tiring foot structure and these, along with footwear advice, can help maintain mobility in the aged population. Bunions and clawing toes are common presentations in the ageing foot. Other underlying chronic diseases such as arthritis and diabetes often exacerbate foot orthopedic problems. Complex feet of this nature require the professional care of a podiatrist as part of the health team for sustained mobility and quality of life. Changes in bone density with osteoporosis may affect the many bones in the foot. The combination of weakened boney structure and the forces the foot must endure in gait leave the foot vulnerable to stress fractures. Gait changes: Falls in the elderly are a concern to people who have experienced falls, their families and the health system at a community level. It has been shown that people at higher risk of falls have a more variable pattern of minimum foot clearance, which could lead to trips and falls (3). Podiatrists have a role in footwear advice and maintaining the foot to be as pain-free and functional as possible. Foot pain: Foot pain affects up to 24% of people over 65 years of age (4). Pain is associated with altered activities of daily living, balance and gait. Some of the risk factors for pain are gender (with women reporting more foot pain), obesity and chronic health problems. Australian Treasury. http://demographics.treasury.gov.au/content /_download/australias_demographic_challenges/html/adc-04.asp. Sighted August 28, 2014. McIntosh IB. The ageing foot - a challenge for the Chiropodist and Podiatrist. Podiatry Review. 2014 May-June. Barrett RS, Mills PM, Begg RK. A systematic review of the effect of ageing and falls history on minimum foot clearance characteristics during level walking. Gait & posture. 2010;32(4):429-35. Menz HB, Gill TK, Taylor AW, Hill CL. Predictors of podiatry utilisation in Australia: the North West Adelaide Health Study. Journal of foot and ankle research. 2008;1(1):8. PubMed PMID: 18822163. Pubmed Central PMCID: 2553780.